In case you missed it (or in case you aren’t from Chicago), this week marks Chicago’s biggest restaurant opening of the year – a grocery store. 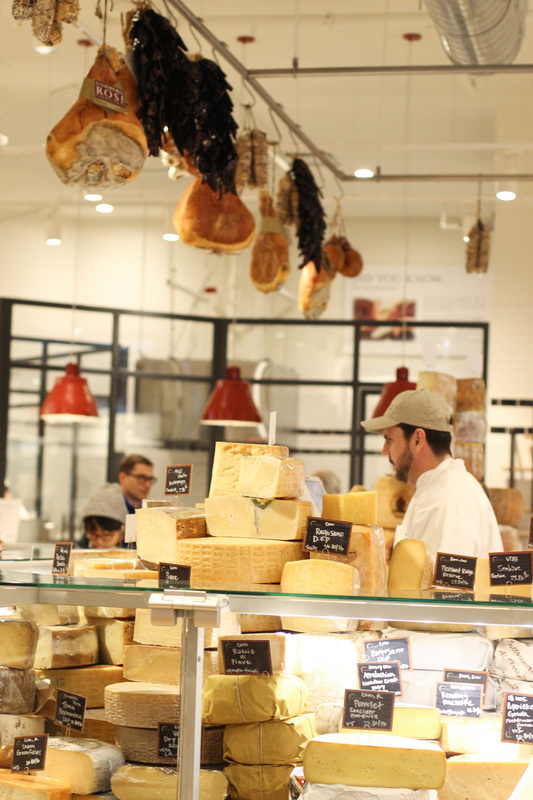 Okay, maybe it’s unfair to call Eataly Chicago a grocery store when it’s actually much more than that. 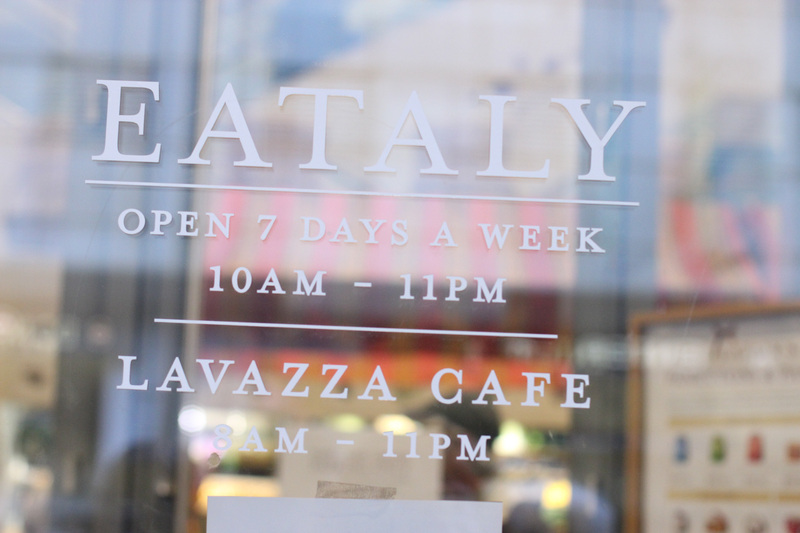 Located just off Michigan Avenue, Eataly isn’t as much of a grocery store as it is a 63,000 square-feet emporium of Italian food, featuring 23 eateries and food counters ranging from a fish market, to a selection of fine cheeses, to a Nutella bar and a bakery. 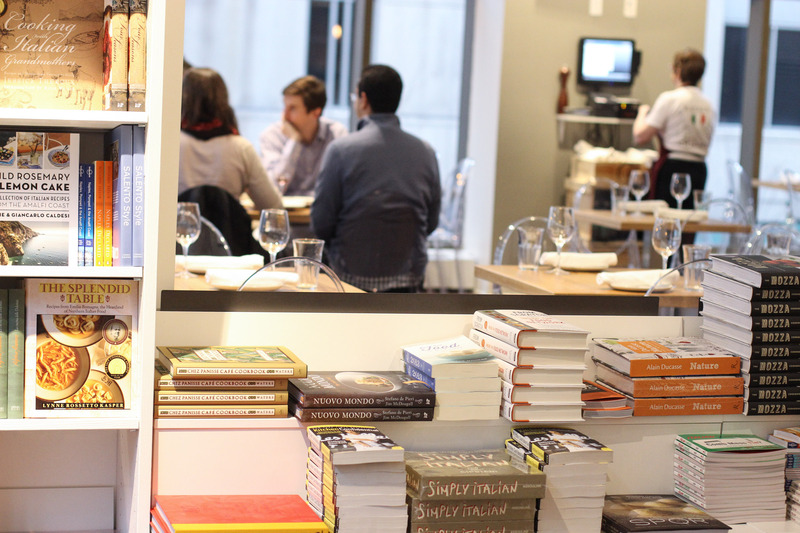 Factor in the fine dining options, bookstore and classrooms, and you’ve got yourself Eataly. Opened Monday, December 2, Eataly is the newest installment of a chain of specialty grocery stores (read: food worship pilgrimage sites) under the direction of celebrity chef Mario Batali and restaurateurs Joe and Lidia Bastianich. Other locations include Japan, Italy and New York City, but Eataly Chicago is special, certainly for the fact that it’s the largest Eataly complex yet, but also because of what it says about where the future of supermarkets is headed. Food emporiums of this scale may be a little more common in New York City and established foodie cities like Tokyo and Rome, but its opening in a midwestern emerging foodie city is more than a coincidence. Specialty grocery stores are opening all across the country, and these openings signify a nationwide trend toward eater-based supermarkets. Part of what makes eater-based supermarkets like Eataly so appealing to Americans is the honesty they carry. 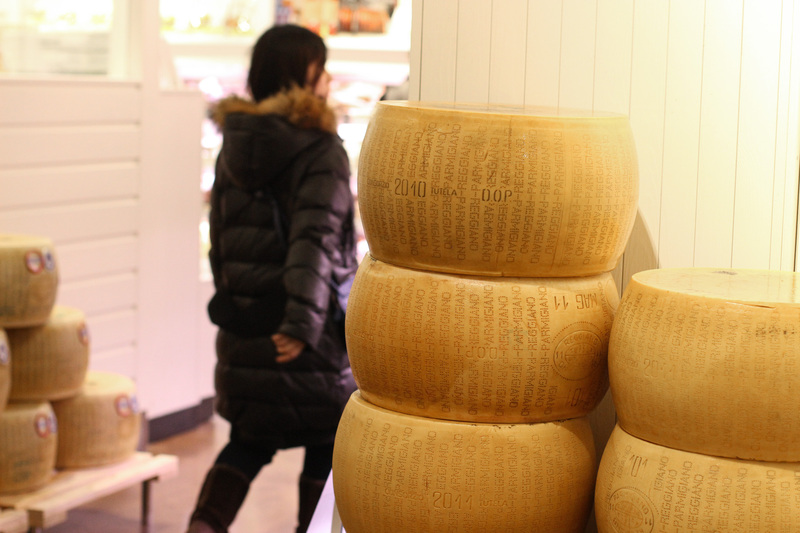 Throughout the food emporium, shoppers can find exposed wheels of cheese, smell the fresh fish and interact with produce so gorgeous they can’t help but buy it. 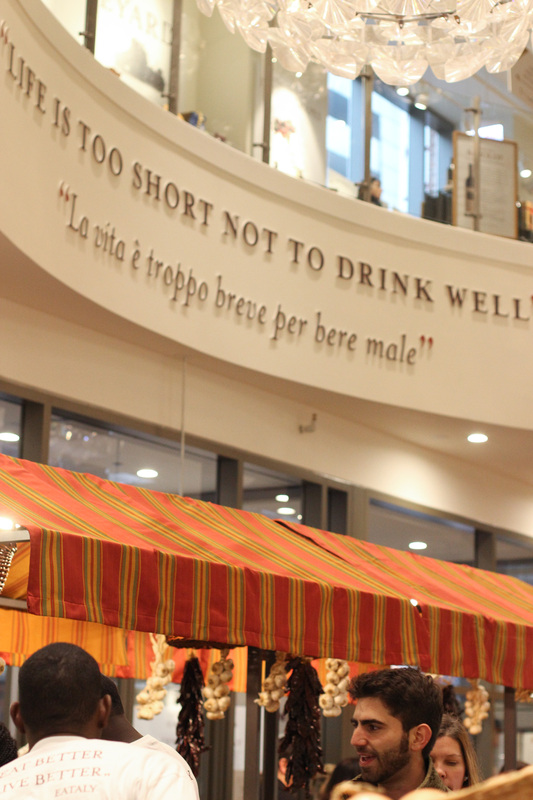 Indeed, most of the food sold at Eataly is either prepared in the store (even beer!) or grown locally – or brought in from Italy. What you find here celebrates the farmer or the producer, not the brand. That’s really crazy for me to ponder because when I think about basically every grocery store or supermarket I’ve shopped at regularly these past 20 years, I think about brands. I think about choosing whether to get the generic or Honey Maid graham crackers, Campbells or Progresso soup, Creamette, Barilla or generic pasta brands. Everything at the typical grocery store of the late 20th century harks back to who it comes from, not where it comes from. Specialty grocery stores of the 21st century keep the focus on the product rather than the name. At Eataly, for instance, you can buy pasta made in the store with a brand none other than Eataly I guess. It’s all part of a bigger food revolution shifting the focus toward natural ingredients, simple, flavorful dishes and “slow food” – the antithesis of fast food. Something that strikes me about Eataly, being the first foodie grocery store I’ve been to, that probably makes people even more interested in this type of establishment, is how inspired it made me feel to cook up something good for me. Besides the fact that the whole place looks like the Macy’s of grocery stores, complete with two levels of retail, the displays of food were even artful. All I could think of was how much more I wanted to eat everything just because it was so beautiful. 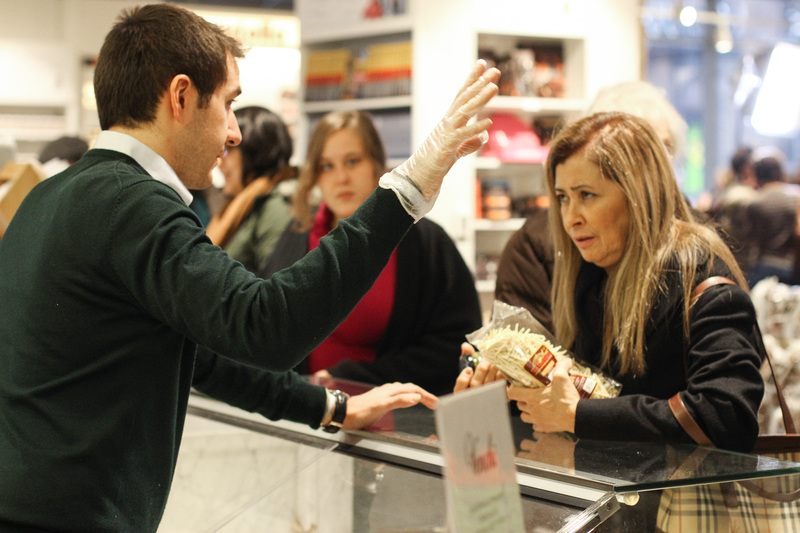 This is quite a convenient effect for Eataly to have on its patrons because soon a cooking school will open onsite. Guess who didn’t know she wanted to learn the art of pasta-making until a couple days ago? Me. But really, the whole place is just so elegant that the aspirational effect is definitely there. It brings out the chef (or the foodie) in everyone, presenting a beautiful (and probably rose-colored) view of food preparation. I can’t say the general trip to SuperValu has inspired in me the same dreams of cooking nice meals. Foodie grocery stores like Eataly are also gaining popularity because not only do they inspire you to want to make food, but they make it completely attainable to do so, at least assuming you’re willing to pay a bit of a higher price to shop there. Part of the reason there are so many food counters to order from is the premise that if you can eat it here, you can buy all the ingredients nearby to recreate it yourself at home. They have a bookstore where you can buy all the Italian cookbooks you’ll probably ever need, as well as a section just with cookware and wacky, fun cooking utensils you probably didn’t know you needed. “We’re trying to remove the obstacles to cooking,” Batali said of the stores. Combine this convenience with the trend in caring where your food came from, and locavorism and all that stuff, and you have yourself a prototype, or at least an ideal, of what the modern grocery store should strive to be: a food mecca. Yes, I can’t help but think back to all the supermarkets I’ve known my whole life, and the utilitarian over artful food displays, bakery goods sealed away in ugly plastic containers and stacked on tables, cheese processed and vacuum-sealed in open-face refrigerators, ground hamburger sealed away from proper view in a similar manner. While I predict it will be a long, long, LONG time until I can afford to shop at a place as high-quality at Eataly, I can say one thing: This place makes me want to be a better cook, a better eater, and probably a better person. Okay, that last part’s dramatic, but so is a marble atrium in a Chicago grocery store. 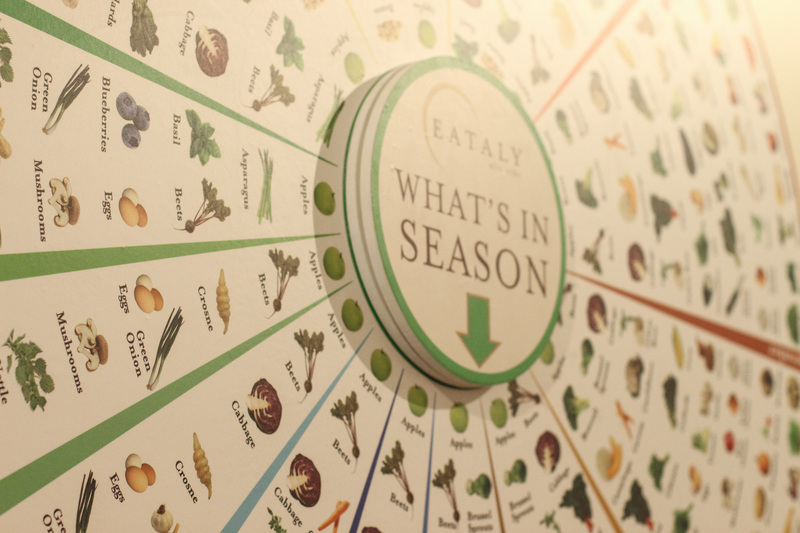 This entry was posted in Life and tagged Chicago, Eataly, Eataly Chicago, food culture, foodie, grocery stores, locavorism, news, retail, supermarkets, trends. Bookmark the permalink.